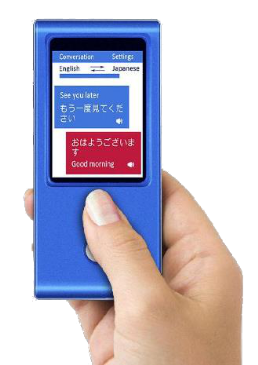 Translator Anobic VT AR is two-way voice translation in 35 languages (incl. arabic language and localization), thanks to which it will be no longer a problem for you to understand people while traveling around the world. Do you travel and discover new places? Do you need to translate a language? You certainly remember the unpleasant situations that occured because of the language barrier. Not anymore! Weâ€™re excited to be exploring new ways to learn and practice languages. We want to create the opportunity to practice anywhere, anytime. Find out more. The Anobic VT AR is a translating speaker that brings something special to every connection. Speak your native language and express yourself in a way that wasnâ€™t possible before.